China Glaze® gives the free-spirited look a fresh, trendy spin with its latest specialty collection, New Bohemian. China Glaze® New Bohemian will leave you mesmerized as the color shifts and moves across the nail, traveling with the light. The chrome-like finish radiates with high shine and intense color, captivating your senses with every twist and turn. 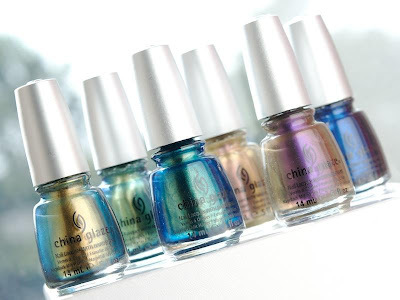 China Glaze nail polish is free of DBP, toluene, and added formaldehyde. 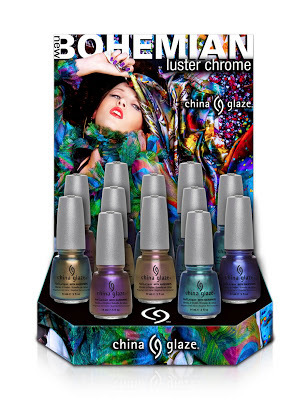 The China Glaze® New Bohemian collection is currently available at Elite Nails – Kapasigan branch, check it out today! Get Elite Nails spa updates online via our Facebook fan page and/or follow us at Twitter (@eliteNailsSpa) too.